It is a part of most people’s morning routine. Wake up. Check your phone. When does our constant need to be connected to social media become too much? 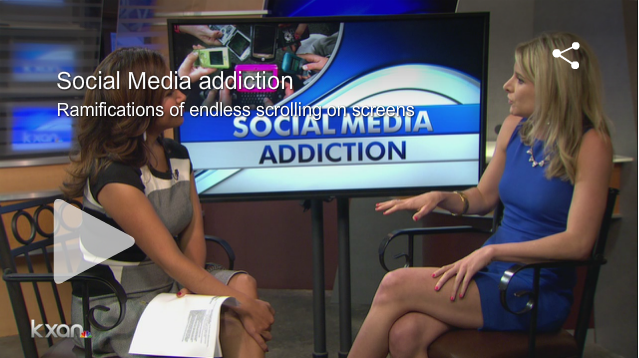 Local psychotherapist and author, Emily Roberts discusses how social media addiction impacts self-esteem and can increase depression. Roberts says the ramifications of endless scrolling forces us to compare ourselves to others, which can breed insecurity. The advice Roberts gives to control your image on social media for employers and colleges is to pause before you post. She says it is important to be mindful of your online activity in establishing a healthy relationship with technology. Click above to watch now and learn more about how social media may be affecting your confidence or self-esteem.